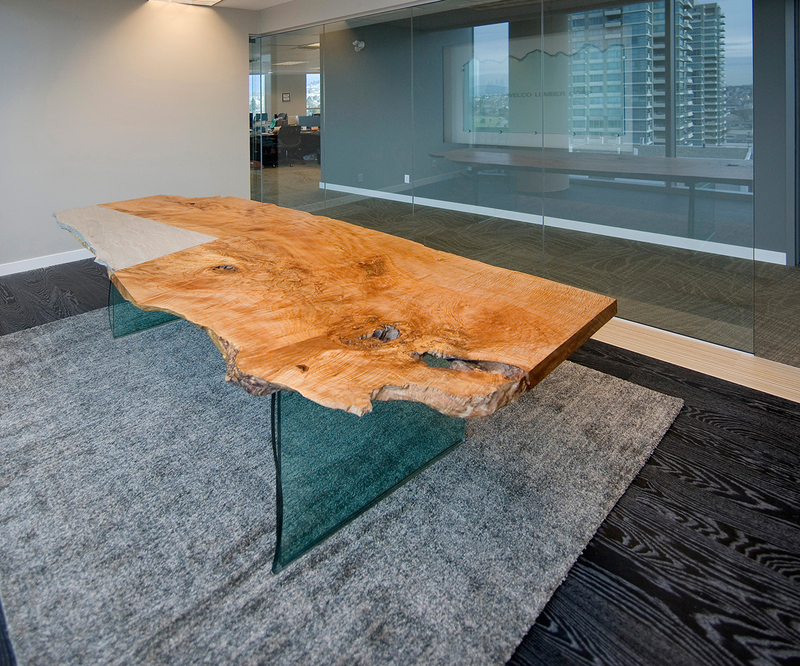 This boardroom table is made from a 120 year old Douglas maple. It has flame, curly, quilted and spalted figuring. Where a part of the trunk broke off, I inserted a beautiful piece of blue rock slate. 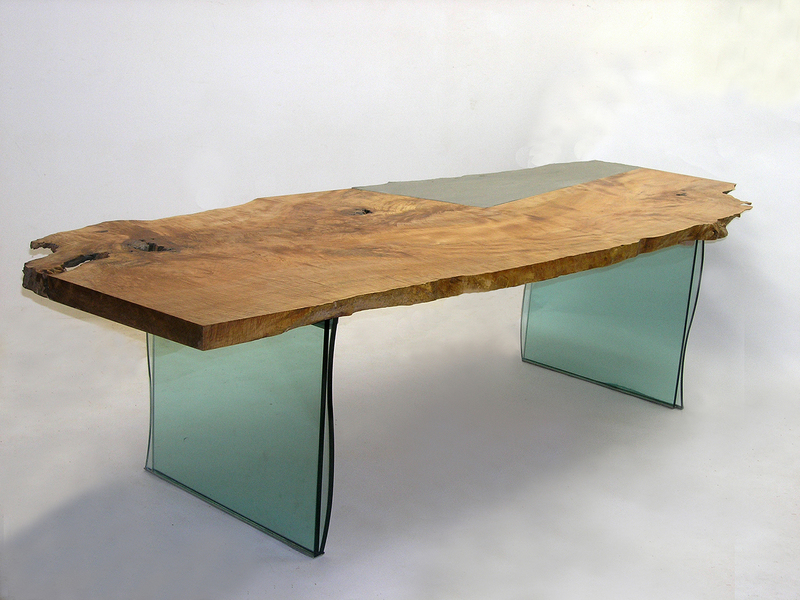 1 1/2 inch bonded glass plates attached in a novel technique support the table. 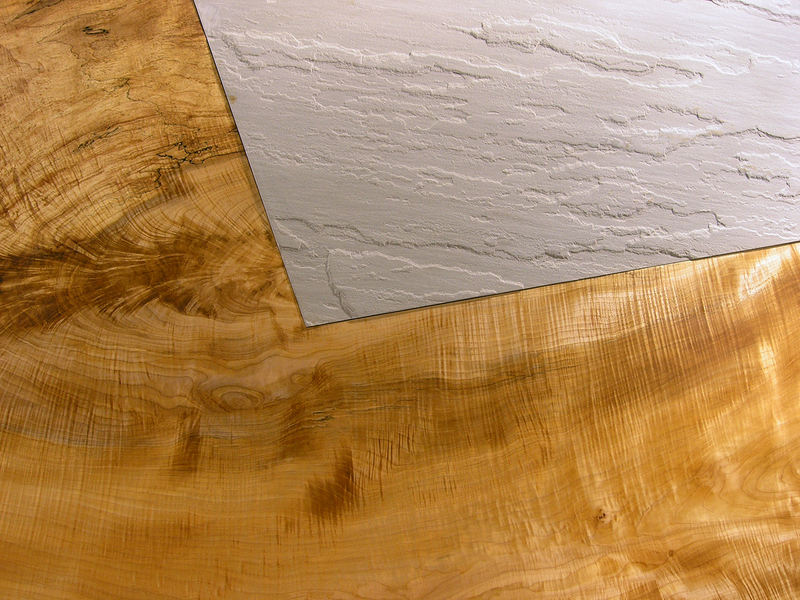 The table top measures 127 inches x 4 inches. 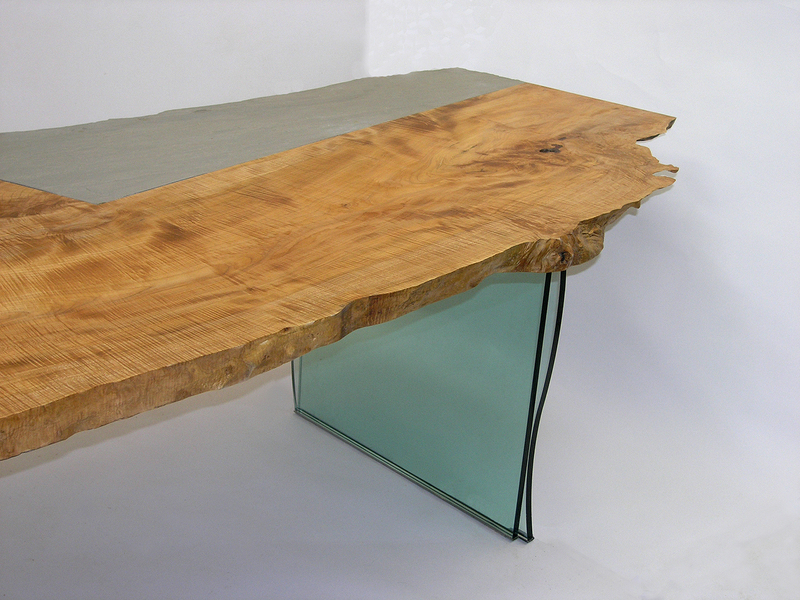 Designed for a boardroom, this table could also be a spectacular dining table.